Attendees will see a FANUC M-20iA robot picking different sized cartons from a conveyor and side-loading packages into large shipping cases. The system determines the optimum pack pattern for each mixed lot based on customer selections. The robot is integrated with the high-speed multi-servo controlled Edson SR 3600 large case and tray packer featuring Rockwell Automation technology. A SICK barcode reader will detect acceptable cases as each case is discharged from the packer. Balluff IO-Link enabled sensors and power supply allows a wealth of diagnostic and statistical information. Festo IO-Link and Ethernet valve terminals control all the pneumatics on the SR 3600. IO-Link components are foundational to the Industrial Internet of Things (IIoT). IO-Link components enable faster installation and create a cleaner, less cluttered machine. A Robatech Concept Stream tankless adhesive melter is paired with a Robatech AX Diamond application head for no-contact, precision applications of thermoplastic hotmelt adhesive at 800 dots per second. 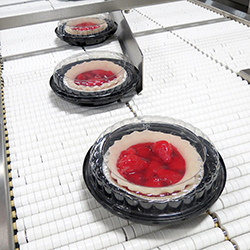 The system is designed for maximum quality for assured sealing, lowest total cost of ownership, and safety. To emphasize automated end of arm toolless changeover, Edson partnered with Balluff to use an IO-Link wireless coupler to change between two tools. One of the tools will demonstrate multi-product orders and the other will select promotional products. Show attendees can select a promotional gift - a pack of candy or a toy football - and the system will change the tooling to a 3D printed pick-and-place tool developed by McMaster University. A SICK vision sensor is used for promotional gift product identification; gifts are then identified, lifted out of a bin, and dropped down a delivery chute. "The product flexibility of this case packer to be able to accommodate all types of shapes and sizes will allow e-commerce businesses and food companies to easily configure multi-product orders," said Mike Paskaruk, Edson vice president of engineering. 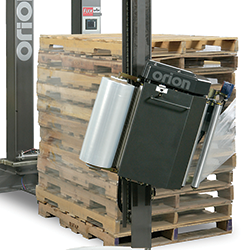 "Edson continually works with customers in advancing market spaces to provide innovative turnkey case packaging solutions that enhance end of line operations." 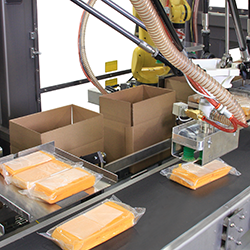 Be sure to stop by the Edson Pack Expo Booth #C-3027 to see the advanced robotic mixed-product case packing solution. 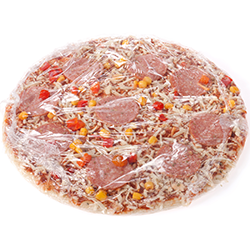 For more information on this and other turnkey e-commerce and food packing case and tray packaging solutions, call Edson at 905-385-3201 and visit www.Edson.com to see the company's lines of case and tray packing machines.